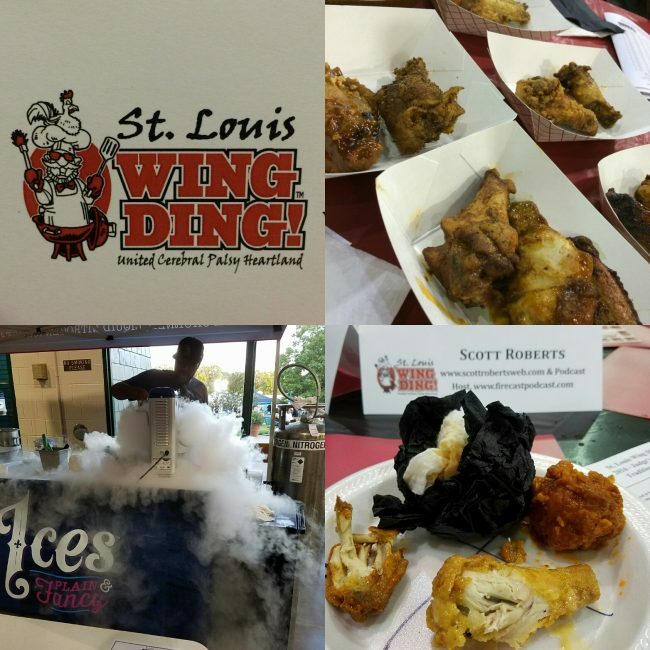 2016 St. Louis Wing Ding is Coming! 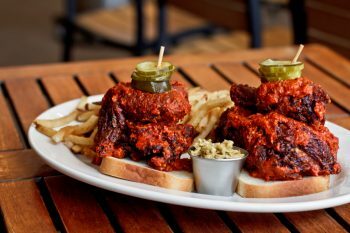 (St. Louis, MO) Local restaurants will compete to see who has the “best chicken wings” in St. Louis at the 6th Annual Wing Ding St. Louis. This year’s event will be from 6:00 pm until 9:00 pm, August 11, 2016, at Queeny Park (Greensfelder Arena), (at 550 Weidman Road, Ballwin, MO 63011). The Wing Ding is sponsored by Schlafly, CARF International, 105.7 The Point, Coca-Cola, Ices Plain and Fancy and Nothing Bundt Cakes. It’s time to revisit a subject (and maybe the first in a series of similar topics) for discussion here in the chilehead world: what are my favorite spicy snacks in the world? On previous lists on this very topic in years past, I have included spicy sweets among fiery snacks. I decided to forgo the mention of candies, chocolates, confections, sweet baked items, and caramel sauces and hot syrups on this top 5 rundown, and instead will go for the more salty-based variety of munchies. 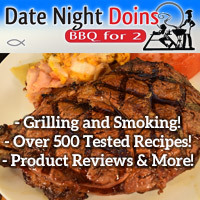 This includes chips, baked or fried products made from potatoes, corn, wheat, or meat jerky. As I was compiling this list, I discovered that a few “shoe-ins” unfortunately had to be left out as the manufacturer either stopped production of the item or the company went out of business altogether. It’s sad, but most of you know that the fiery foods industry can be a fickle and tough one to remain successful in, and sometimes the products for whatever reason did not gain the audience they deserved. The Florida Festival of Flavor & Fire will be made tastier this year with the addition of the highly awarded HoneyBlaze Buffalo Sauce. Riverview native Miller Townsend, creator and owner, takes his sauce to Lakeland next weekend representing Tampa as vendors flood in from all around the country. 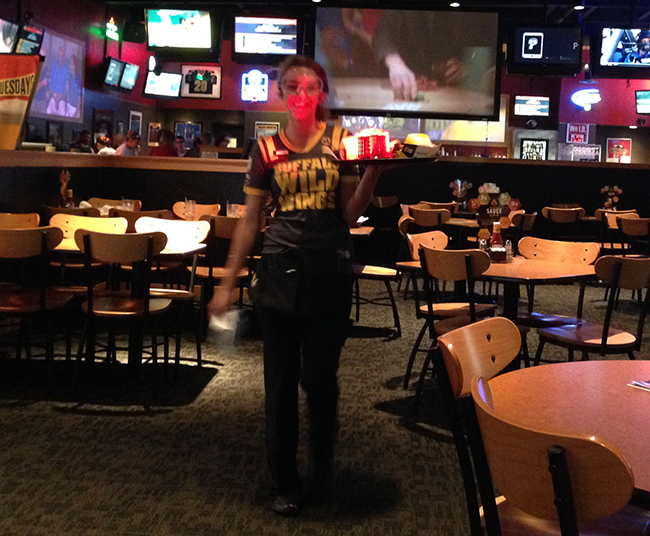 Alright, you want hot? You got it! This super-hot buffalo wing sauce recipe is for serious chileheads only. 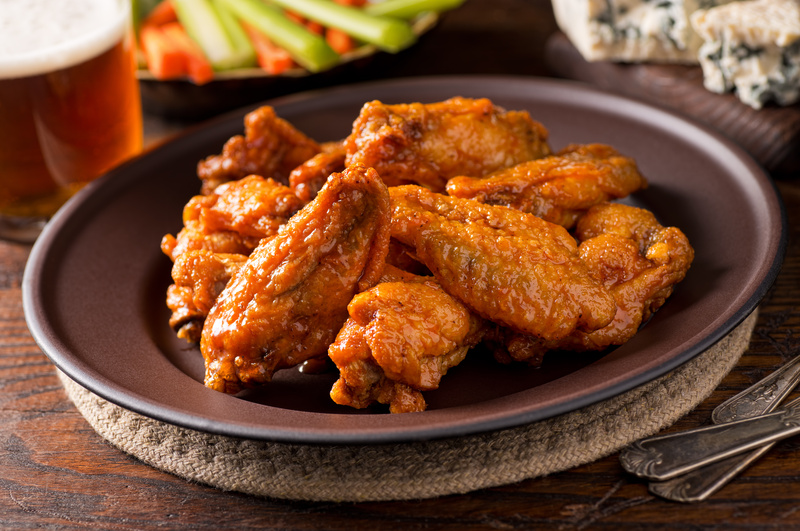 If you’re a certifiable heat freak and are tired of other buffalo wing sauce recipes leaving your tongue disappointed with a flat heat level, then these scorchers should do the trick. 2-3 pounds of assorted chicken wings, both flats and drumettes. Approximately 1 quart of cooking oil. What’s that? You mean haven’t tried chicken wing drumettes and flats “Missouri-style”? 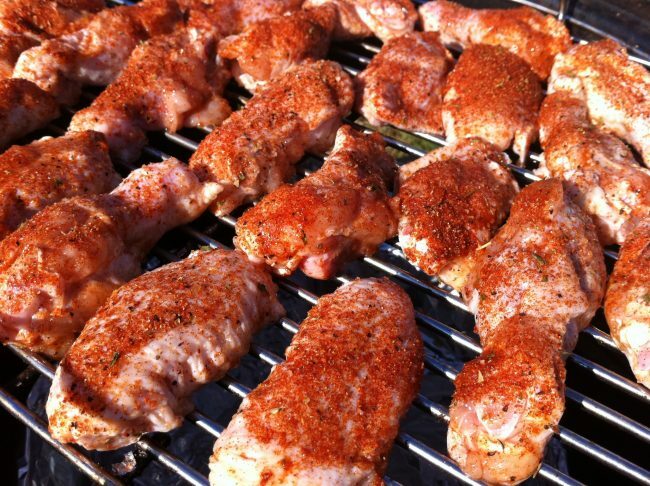 If you’re unfamiliar with this tiny little live-fire recipe twist on grilling these popular poultry pieces, it simply combines the best of grilling (hot and fast cooking) and true outdoor barbecuing (low n’ slow with a touch of wood smoke). The results are spectacular! And if you’re unlearned about grilling wings, period, and are just used to frying them indoors, you’re missing quite a treat. 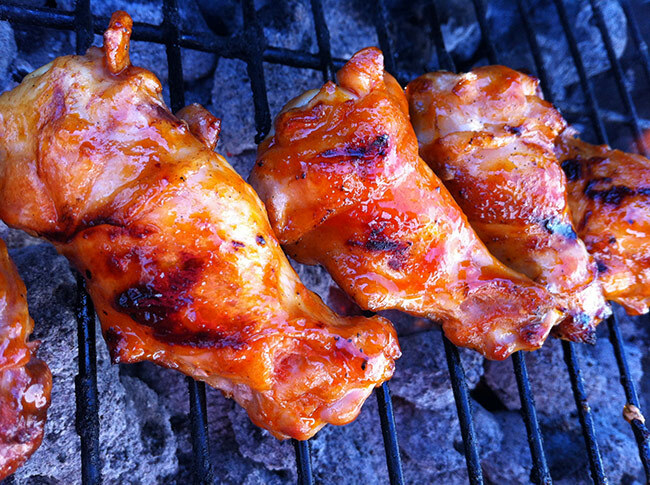 The great thing about grilled wings is that the fat drips down, the skin gets lovely and crispy and you don’t have to deal with cooking with hot oil (and the disposal associated with using it). Plus, you get a delicious grilled flavor! 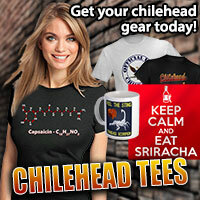 There is great news for chileheads, BBQers and fiery foods fans everywhere! After taking a brief hiatus, The Firecast Spicy Food, BBQ and Hot Sauce Podcast Show is returning soon with all-new episodes for its 2016 season! Some cool topics and guests are planned with the coverage all you foodies have grown to love. 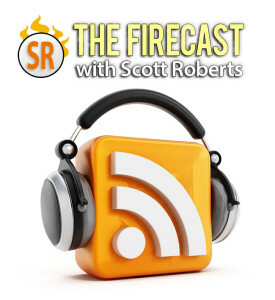 As always, listening to The Firecast is extremely easy! 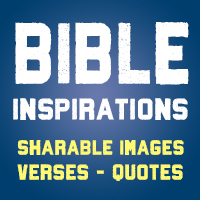 There are a vast number of ways to listen, subscribe ad download the episodes on virtual every internet-enabled electronic device known to man. Go to The Firecast‘s Subscribe and Connect page to peruse all the different options you have available. The Firecast is the most listened-to show on the internet with a focus on hot sauce, fiery foods and BBQ. 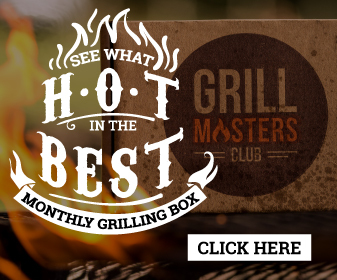 The program aims to feature the best and most diverse coverage of spicy food, sauces, seasoning, grilling, barbecue smoking, chile peppers, buffalo wings, chili and more, with weekly product previews and interviews with the biggest movers and shakers in the industry. New podcast episodes are released roughly twice per month. The Firecast Podcast is downloaded on average of over 45,000 times per month, with new episodes racking up more than 12,000 downloads each. The show began in 2010 as a YouTube video show, and transitioned into its current audio format in mid-2012. It’s time for another captivating snack chip showdown! Of course, since I try to keep it spicy, I’ve selected a pair of nationally-available brand names with takes on fiery flavor variations. Since major snack manufacturers are scatter-shot when it comes to not only featuring a product that should appeal to chileheads, but also be delicious at the same time, I came into this review with no expectations. Interestingly enough, there are now actually a wealth of hot n’ spicy options down the chip aisle (almost too many, to be honest! ), so I had to be very judicious in not only selecting suitable review subjects. In cooking, consuming and dealing with fiery cuisine, especially the liquid seasonings that give flavor and heat to dishes, you’re going to stumble upon dozens of interrelated names and terms. Some of their meanings may be obvious, but chances are good that if you’re newer to the world of spice you may get hung up on a few. For the novice foodies and beginner chileheads, I’ve given definitions of a lot of these words you’ll encounter. The following list is certainly not comprehensive, yet still should cover most of the terms encompassing the wide world of spicy sauces, condiments and liquids. In its most basic meaning, a hot sauce is simply any sauce that uses hot chile peppers as one of its mean ingredients to give it a spicy taste. Diving deeper into what the definition of hot sauce is, it can technically mean any type of pepper-based substance ranging from watery liquids to thicker condiments all the way up to a thin paste in terms of consistency. Hot sauce can have an almost unlimited number of supporting ingredients including tart, sugary, fruity, salty, smoky or tangy ones. It also should be noted that technically salsas are considered to be hot sauces, albeit much thicker ones. Also referred to as pepper sauces and chile sauces. As promised a few days ago, below is my review for Buffalo Wild Wings Ghost Pepper Sauce and Salted Caramel BBQ Sauce wings. 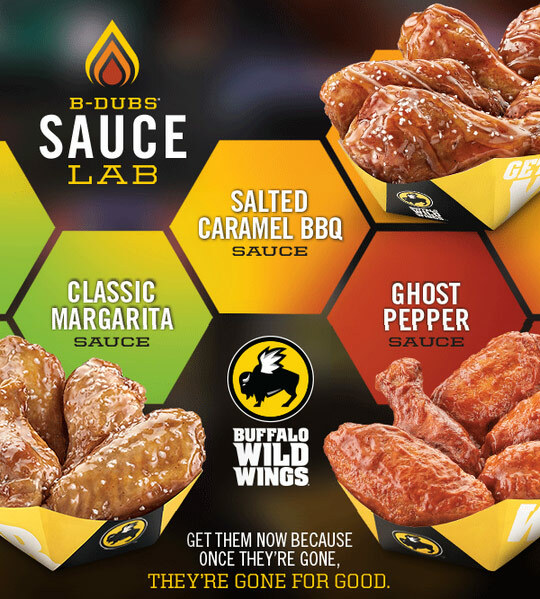 These two wings sauces, along with their Classic Margarita Sauce is a brand new trio that’s part of B-Dub’s “Sauce Lab” – which is a slick marketing term for “limited time only” flavors for their namesake chicken pieces. I’m all about great taste, but what is especially notable is that after asking the former head of research and development, Sylvia Matzke-Hill, about the possible introduction of a ghost pepper sauce, the Minneapolis, Minnesota-based restaurant chain has finally released one. 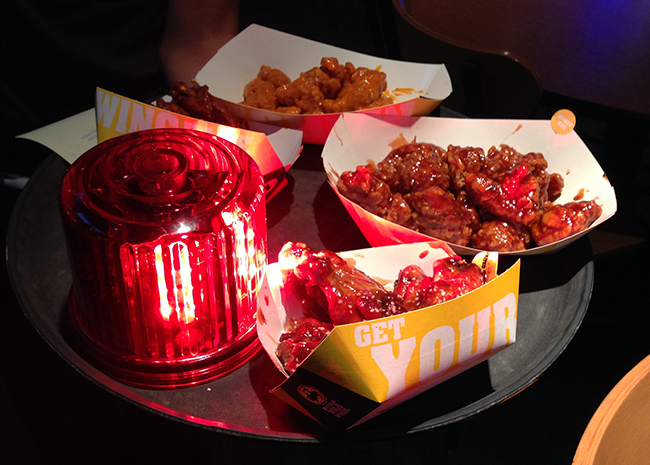 It’s time for another batch of new sauces from Buffalo Wild Wings. 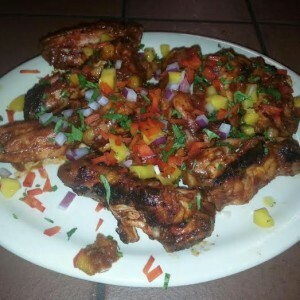 This time out, the chicken wing chain has a trio of new flavors: the super-hot Ghost Pepper Sauce; whch by some accounts, is hotter than their previously-hottest Blazin’; Salted Caramel BBQ Sauce, a sweet and salty blend; and Classic Margarita Sauce, a fruity alcoholic beverage-style spin put into buffalo wing form. I will be trying these (with a formal review to follow) this coming weekend, so stay tuned! If you’re interested in these BWW wing flavor options yourself, let if be known that these are only available for a limited time only at participating Buffalo Wild Wings restaurants. If you’re in the mood for some decent delivery pizza, you can find a much better joint to order from than Domino’s Pizza. Oddly, to battle a poor reputation (which may or may not have been deserved) a few years back, Domino’s had revamped their core pizza recipes but actually came out with an even worse product, despite some aggressive marketing tryin to convince the masses otherwise. 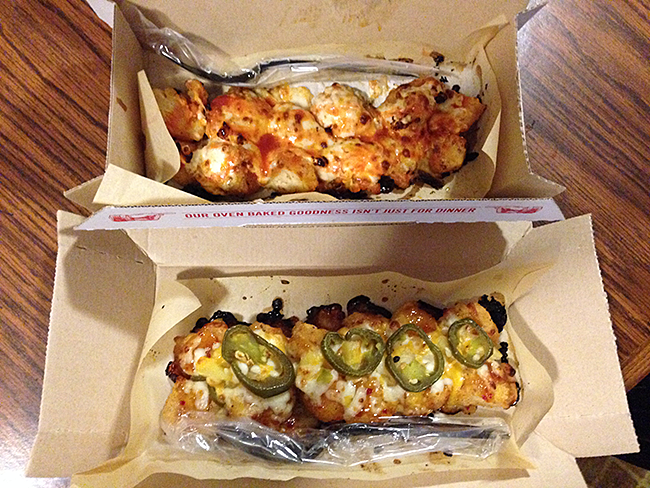 It is Domino’s vast array of sides, that in my opinion set them apart from the other national chains. Although not all of their sides are stellar, they are distinctively guilty pleasure enough to purchase if my boys try to convince me to order from them.